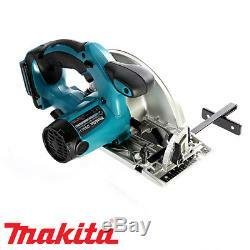 Makita DSS611Z 18V LXT Lithium Ion 165mm Circular Saw With Type 3 Case. Model DSS611 has been developed as a cost-competitive sister tool of Model DSS610. Features the same lightweight design, portability and high performance as DSS610 although the following functions have been removed: LED Job light, Positive stop at 45 degrees, Blower function, Electric brake. 22 minute charge time with the air cooled Makstar Optimum Charging System. Lithium-ion batteries have greater lifes than their Ni-MH or Ni-Cad counterparts giving 430% greater run time. Lithium-ion's 40% weight saving means 18 volt power can be obtained by a battery that weighs the same as a 12 volt Ni-MH battery. 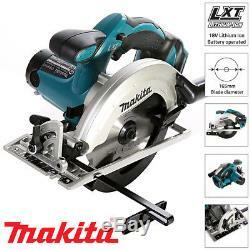 1 x DSS611Z Circular Saw. 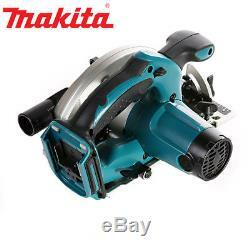 1 x Makita Type3 Case Without inlays. 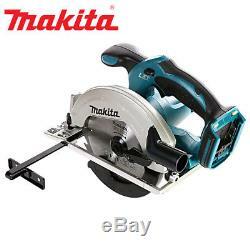 No Load Speed 3700 rpm. Cutting depth at 45° 40mm. Cutting Depth At 90º 57mm. Noise Sound Power 102 dB(A). Noise K factor 3 dB(A). 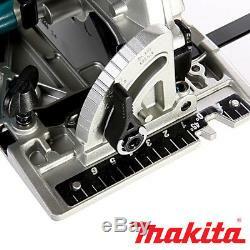 Vibration K Factor 1.5 m/sec². Images for illustrative purposes only please refer to description and specification for full details of product. We will send you a return code and return address. This does not affect your statutory rights. All prices are inclusive of VAT (where applicable) at the current rates and are correct at the time of entering the information onto the system. Prices are in Pounds Sterling unless otherwise specified. If you are not happy to proceed, or we are unable to obtain your instructions, we will cancel the order. Unless we have already despatched or commenced performance of your order, we will not be obliged to supply products or provide services at the incorrect price or based on an incorrect description. When you pay for your order by credit or debit card, we carry out checks or'authorisations' with the card issuer for security reasons. Should any problems occur with the authorisation of your card, we will contact you with further details. We can deliver to an address other than the billing address, but please note that extra documentation may be needed to comply with such orders. 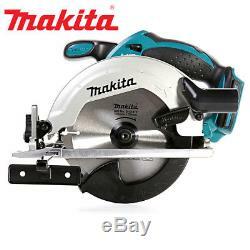 The item "Makita DSS611Z 18V LXT Lithium Ion 165mm Circular Saw With Type 3 Case" is in sale since Monday, January 22, 2018. 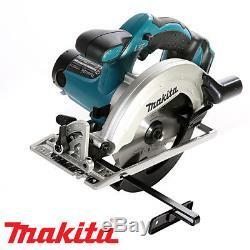 This item is in the category "Home, Furniture & DIY\DIY Tools\Power Tools\Saws & Blades\Circular Saws". 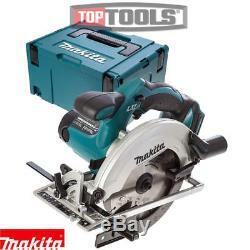 The seller is "top_tools_ltd" and is located in Saxon Park, Buckinghamshire. This item can be shipped to United Kingdom, Austria, Belgium, Bulgaria, Croatia, Cyprus, Czech republic, Denmark, Estonia, Finland, France, Germany, Greece, Hungary, Ireland, Italy, Latvia, Lithuania, Luxembourg, Malta, Netherlands, Poland, Portugal, Romania, Slovakia, Slovenia, Spain, Sweden, Norway, Switzerland.